For this angle I had the lens basically kissing water, heh. 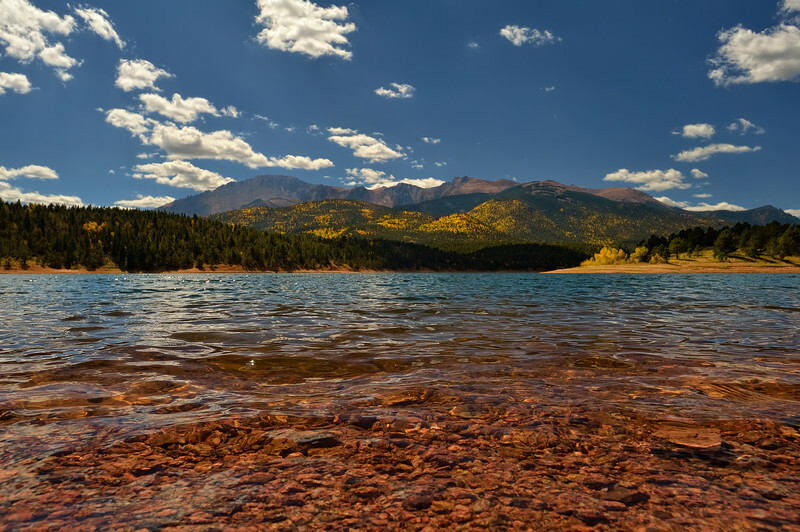 Crystal Reservoir is located right at the foot of Pike's Peak and is a popular stop on the way up to the summit on the Pike's Peak Highway. Shot Notes: two exposures used, one for the sky and one for foreground. Due to the harsh position of the sun I had to use my hand to shade the lens in order to avoid flare. Especially since I was using Nikon's over-sized polarizer which negated the use of a lens hood.